This Defy is one of the best looking Shimano Ultegra disc brake carbon road bikes featuring carbon wheels with tubeless tyres for a smoother ride and fewer flats. Read more about what's new in the Giant Defy 2019 range or take this bike for a demo and try it for yourself. 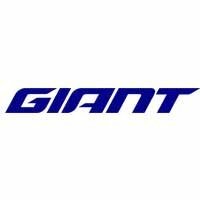 Retailing on their own at around £1,000 a pair with tubeless tyres, Giant's carbon composite SLR 1 Disc Centre-Lock Wheelsystem weighs in at just 1,650g (per full wheelsystem). The Giant D-shaped carbon composite seatpost works in tandem with the skinny seatstays to do a remarkable job of damping bad vibes that would otherwise be transmitted from unsmooth road surfaces.